Alessandro Fiori is the project manager of Laboratory Assistant Suite (LAS) project at the Institute for Cancer Research and Treatment (IRCC) of Candiolo (Italy), since January 2012. He was a Post-doctoral researcher at the Dipartimento di Automatica e Informatica of the Politecnico di Torino from January 2010 until December 2011. He attended the Ph.D. in “Information and System Engineering” from January 2007 until December 2009. He spent a period of 6 months (March 2009-August 2009) abroad at Databases and Information Systems Group of “Max-Planck Insitut fur Informatik”, Saarbrucken (Germany). The research activity was focused on the study of the knowledge stored in biological ontologies (e.g. UMLS) in order to extract informative paths. 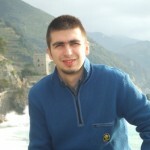 He holds a laurea degree in Computer Engineering from Politecnico di Torino in November 2006. The title of his thesis was “Classification of genetic data”. His research activity is focused on the development of a framework to analyse the wealth of public gene expression data and validate the results. The aim of this research is to help geneticists, molecular biologists and medical researchers in the identification of highly selected hypotheses to be further tested in vivo/vitro. He has been working on feature selection algorithms, to select the most relevant genes under determinate conditions and pathologies. Moreover, he is investigating clustering techniques which weight differently specific features of data in similarity measure computation. His current research interests include a framework to validate biological analysis results using the knowledge retrieved from research articles stored in PubMed repository.